My PhD project centers around the development of a fear conditioning app (FLARe) that is capable of collecting data from thousands of participants for use in large scale studies. The main purpose of the FLARe app is to facilitate the understanding of the genetic underpinnings of anxiety by using fear conditioning in combination with genomic and twin studies. I completed my bachelor’s degree in Psychology at Coventry University in 2013. For my Master’s, I studied Developmental Neuroscience and Psychopathology for 2 years at UCL and Yale University. The second year of my Master’s degree was heavily geared towards learning research skills and included a year long placement within one of the developmental neuroscience labs at Yale. Prior to starting my PhD, I also worked as a Research Assistant at KCL on the FLARe project. As well as working in academia, I have also worked in industrial research roles. 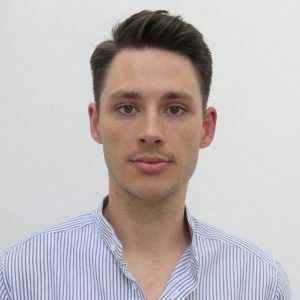 Alongside my master’s I completed an internship for Cogstate, a company specialising in cognitive testing, and before joining KCL I worked as a Research Manager for PSYT, a company who design and develop apps for psychological research.